Endoscopy vessel harvesting systems are mostly used during coronary artery bypass surgery. During the procedure, a surgeon mostly “harvests” healthy blood vessels from other body parts, often arm or leg to create the bypass graft. In addition, recent technological advancements in cardiovascular medical devices will aid the market’s expansion worldwide. Also various organizations such as Heart Valve Surgery Community and Pediatric Congenital Heart Association are working toward spreading awareness about congenital heart ailments. These organizations are engaged in research and development of novel therapeutics as well. Industry leaders are of the view, as surgeons gain knowledge about novel technologies concerning cardiac surgeries, opportunities for sales of endoscopic vessel harvesting systems will ripen. Moreover, with the increasing geriatric population, the demand for these devices is expected to surge, as aged people are more vulnerable to cardiac conditions. In February 2017, surgeons at UHG introduced a novel technique intended at improving outcomes for patients undergoing cardiac surgery. Dr. Alan Soo and his team at UHG have introduced a novel method of harvesting veins from a patient’s leg. UHG is the first public hospital in Ireland to offer the surgery. Over the past fortnight, the procedure is conducted in a number of patients. With the latest technological advancements surgeons are able to harvest veins via keyhole techniques in 2 to 3 small incisions that measure lesser than 1 cm using specialized instrument and a video camera. This new technique of endoscopic vein harvesting is intended at reducing patient’s discomfort, lessen chances of wound infection, and ensure better cosmetic effect. Considering opportunities exhibited in the last few years, the global endoscopic vessel harvesting system market exhibits a prevalence of intense competition. However, the vendor landscape has remained fairly concentrated, with a handful of companies holding the lion’s share in the overall market. 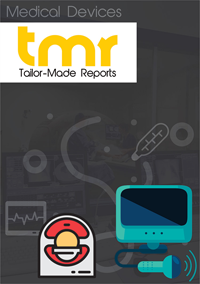 Some of the prominent companies operating in the global endoscopic vessel harvesting system market are Med Europe S.r.l. ; Saphena Medical, Inc.; Terumo Cardiovascular Systems Corporation; Maquet Holding B.V. & Co. KG. ; LivaNova plc. ; CARDIO MEDICAL GmbH; and OLYMPUS CORPORATION.